Brien Foerster - Hidden Inca Tours. Brien has been travelling the world with his video camera showing in great detail what we are missing from our past. On the Inca trail he is joined by Robert Schoch, David Hatcher Childress, Hugh Newman & Glenn Broughton amongst an array of other alternative thinkers. Christopher Dunn, Lloyd Pye, Jim Mars, ( if memory serves me ) are also included. There are over 638 short time videos ranging from 2 mins - 15 mins i hope you will enjoy them as i have. 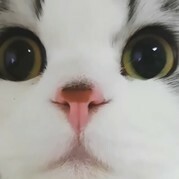 I give you also a link direct to his Youtube account where you can subscribe if you wish to. Trust me ! you will NOT be disappointed to learn new and hidden in plain sight the things the books dont teach you. ...Not so ancient, but still old for us...! "Archaeologists using revolutionary airborne laser technology have discovered a lost mediaeval city that thrived on a mist-shrouded Cambodian mountain 1200 years ago. The stunning discovery of the city, Mahendraparvata, includes temples hidden by jungle for centuries - temples that archaeologists believe have never been looted. An instrument called Lidar strapped to a helicopter which criss-crossed a mountain north of the Angkor Wat complex provided data that matched years of ground research by archaeologists. The research revealed the city that founded the Angkor Empire in 802AD." (Reuters) - Archaeologists have found an ancient Maya city that remained hidden for centuries in the rain forests of eastern Mexico, a discovery in a remote nature reserve they hope will yield clues about how the civilization collapsed around 1,000 years ago. 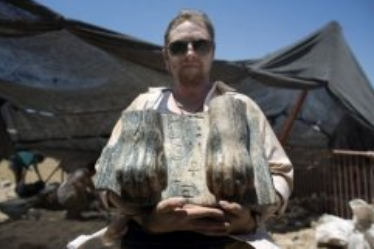 The team, led by Ivan Sprajc, associate professor at the Slovenian Academy of Sciences and Arts, found 15 pyramids - including one that stands 75 feet tall - ball courts, plazas and tall, sculpted stone shafts called stelae. They named the city Chactun, meaning "Red Rock" or "Large Rock." Sprajc said it was likely slightly less populous than the large ancient Maya city of Tikal in Guatemala, and could have been home to as many as 30,000 or 40,000 people, though further research is necessary to determine an exact estimate. 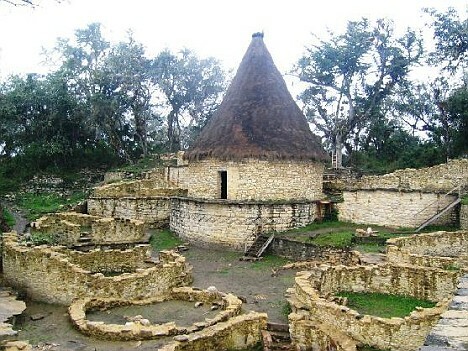 Chactun likely had its heyday during the late Classic period of Maya civilization between 600 and 900 A.D., Sprajc said. I am very curious to see how this pans out. Also, how hard it will be for them to actually study this pillar and excavate the area. Do we really believe that they have only just found all these sites? Seriously, this technology to locate lost civilisation sites through whatever planetary scanning means has been around for a while now. I have this feeling that they know where a hell of a lot of these sites are, they are just releasing the information slowly. Could be just me, but they know a lot more than they are saying and they have known it for a long time now. I totally agree with you, Jessica. Three queens were buried with golden treasures, human sacrifices. 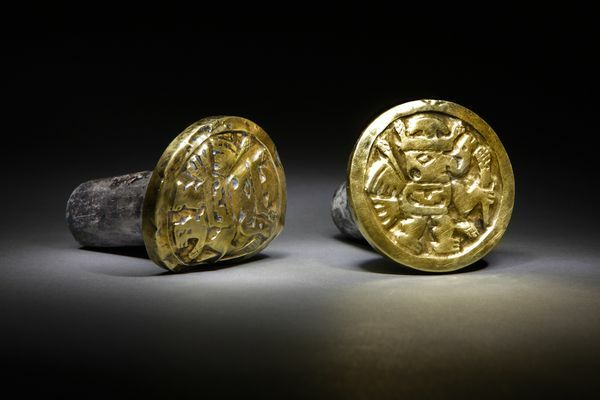 "It was a stunning discovery: the first unlooted imperial tomb of the Wari, the ancient civilization that built South America's earliest empire between 700 and 1000 A.D. Yet it wasn't happiness that Milosz Giersz felt when he first glimpsed gold in the dim recesses of the burial chamber in northern Peru. Giersz, an archaeologist at the University of Warsaw in Poland, realized at once that if word leaked out that his Polish-Peruvian team had discovered a 1,200-year-old "temple of the dead" filled with precious gold and silver artifacts, looters would descend on the site in droves. "I had a nightmare about the possibility," says Giersz." "Images of winged, supernatural beings adorn a pair of heavy gold-and-silver ear ornaments that a high-ranking Wari woman wore to her grave in the newly discovered mausoleum at El Castillo de Huarmey in Peru." One of the only well preserved dinosaur skin samples ever found is being tested at the Canadian Light Source (CLS) synchrotron to determine skin colour and to explain why the fossilized specimen remained intact after 70-million years. University of Regina physicist Mauricio Barbi said the hadrosaur, a duck-billed dinosaur from the Late Cretaceous period (100-65 million years ago), was found close to a river bed near Grand Prairie, Alberta. May said that infrared techniques are so accurate at determining chemical characteristics that it is known as the “fingerprint region” of the light spectrum. But perhaps the greatest question Barbi is trying to answer at the CLS is how the fossil remained intact for around 70-million years. A dinosaur skin sample from a 70-million-year-old hadrosaur is being tested at the Canadian Light Source. This is one of only a few skin samples ever found. Incredible ' cut outs ' in stone possibly for the moon or solar sun. Killarumiyoq - Moon - Stone - Place of ! - Place of the moon stone ! Luna calendar or Solar calendar or something else, looks similar as a Rainbow ( 7) ROYGBIV. with a place to put the ' finger bowl ' early AM , just sayin. The dimensions were measured solely for Dr. Arlan Andrews, who will be writing an article or? book chapter about it. Possibly over 5,000 of these stone 'cut outs ' around the area ! Also featured is a natural cave with a difference ! Brien visits many sites of interest around the planet, these tours he does are fascinating. Going to post this and YES I DO realize it's from 2008. (why do they do this??) However I don't believe anything about this is covered on this thread, and I find it interesting, AND it is not bad news. "A lost city discovered deep in the Amazon rainforest could unlock the secrets of a legendary tribe. Part of an ancient Egyptian king's unique sphinx was unveiled at a dig in northern Israel on Tuesday, with researchers struggling to understand just how the unexpected find ended up there. Part 1 of a 4 part series that is upcoming in the near future. Brien Foerster continues on his travels this time to Giza and the Pyramids searching below the Plateaux of which there are at least 3 layers according to his new guide Youseff. They tour and show us the hidden and barred depths to which extends long wide channels through which WATER travelled into the Plateaux and then onto the Pyramids themselves. Ref ; Type ' Bulla ' in search engine for a more detailed explanation ! This tour of the guts on the Plateaux helps us to understand better the real reasons for the Pyramids ! Ya right. Waterways...well maybe but I doubt it. This does not make sense. Where is the rest of the infrastructure to accommodate large amounts of water? Where is water erosion that you see clearly on the base of the Sphinx herself? This conjecture is most likely to put us off the trail of what that series of tunnels is really about: namely pathways to other temples and communities such as the Transylvania sphinx and biblical city of Ur etc. Skeletons were found with their heads removed and placed on their legs indicating they had been subjected to an execution ritual designed to ensure the dead stayed dead. Anybody accused of being a vampire in the distant past faced a grim fate. Sometimes they would be decapitated, while another punishment involved hanging from a gibbet until decomposition resulted in the head separating from the body. In both cases the head was then laid on the legs of the victim in the hope that an inability to locate their head would hinder the progress of those intent on rising from the grave. Wow...TRIANGLE PYRAMID??? The THIRD ONE! ? Fuse Year! ? Thanks phill some times the iPad won't let me do that.